Nutrient rich swiss chard goes by many names (bietola in Italian), found in many colors and is a cousin of kale. Chard is a hearty green with a nice bitter bite, holding up better than spinach when cooking. Its fibrous leaves wilt nicely into soups, perfect simply sauteed with garlic & olive oil or elevated to more than just a leafy green when mixed with prosciutto and packed into a savory pie shell! 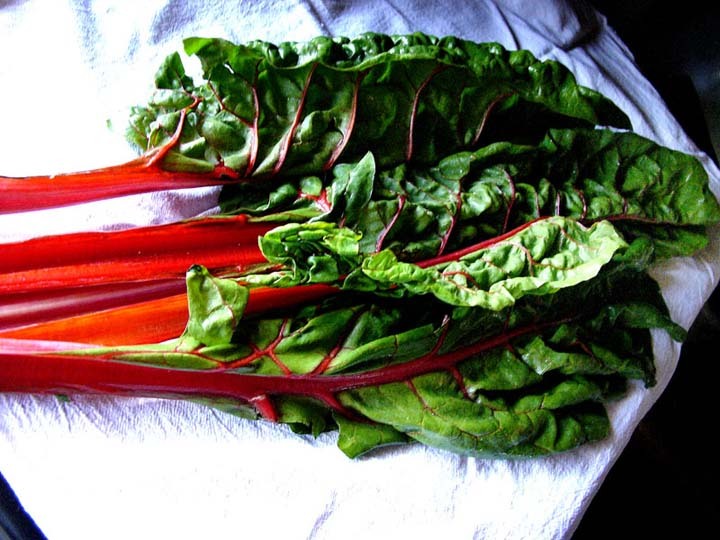 Garden Tip: Chard is a regenerating plant meaning you can cut it to eat & it will reproduce more leafy greens. Sift flour into a mound, add the butter & pinch of salt. Rub together with your fingers or food processor. When mixture resembles crumbly coarse sand incorporate the egg & water. Knead 2-3 times. Form into a disk, wrap in plastic and place in the refrigerator for at least 1 hour. Cook your greens in boiling, salted water depending on the toughness (spinach may only need 20-30 seconds, chard needs 3-4 minutes). Drain and squeeze as much liquid as you can out of the greens. Combine the greens in a bowl with the ricotta, parmesan, lemon, prosciutto, salt & pepper. Taste & check your seasonings. 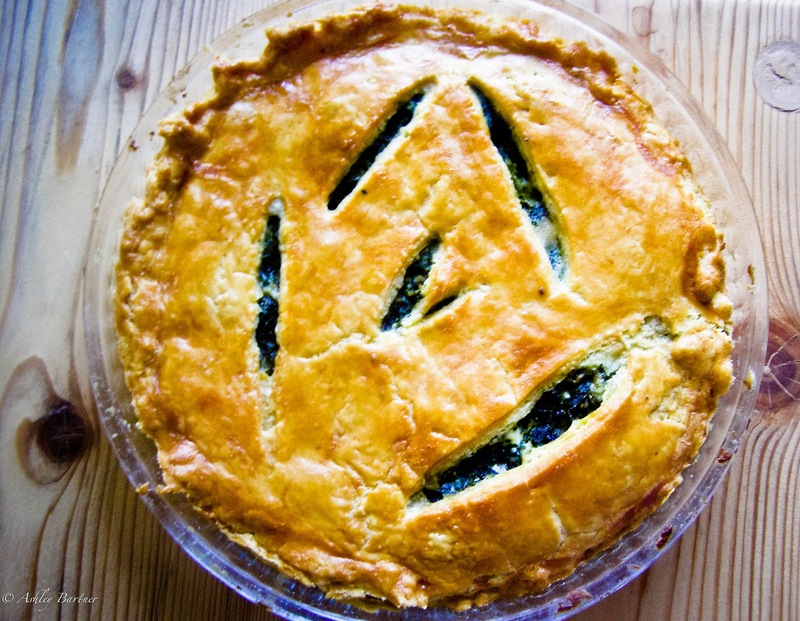 Once pastry is lined in pan, brush with egg white then fill with a generous amount of the chard mixture (filling in evenly). Top with the other half of the dough, rolled out to the same thickness. Pinch the edges, closing the tart securely. Brush the top with egg yolk. Cut 2-3 slits to allow the steam to escape. Place in oven, bake 45 minutes - 1 hour until pastry is golden brown & filling is bubbly. Serve warm or room temperature. So excited to have just made this gluten free! Used to be one of our favorite meals! Glad to be making it again! Making this for the second time since our visit to La Tavola. So tasty...thanks!